Floyd "A1" Bentley is a Kansas City songwriter and performer who might look familiar from his current role on VH1's Love & Hip Hop Hollywood. A1 has written for and worked with the likes of Drake, Big Sean, Robin Thicke and more. His big time break came in 2015 when Chris Brown brought him into his own creative OHB fam to write songs for Brown's Royalty. 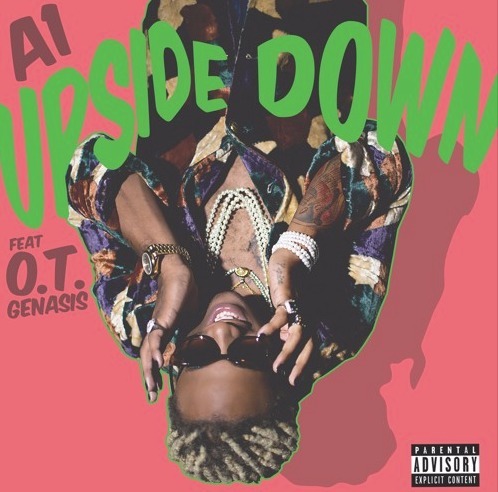 Now A1 is back with his very own solo cut, "Upside Down." O.T. Genasis also pops by to help the process. Bands are popped and the party's so crazy there's women on the ceiling. Bottles are also getting turned over and finished. That's just upside down. Listen to the Dre Moon-produced "Upside Down" below.